Being a documentary photographer, my main goal in a shoot is to accurately and artistically capture what is given in front of me. There are photographers who are great at creating images; setting up a shot to what they envision. But for me, the documentary and storytelling aspect of capturing an image is what made me fall in love with photography and what I try to do at every shoot. So during an engagement shoot, if a couple is in love and they love to show their love in front of a camera, you can't ask for more. 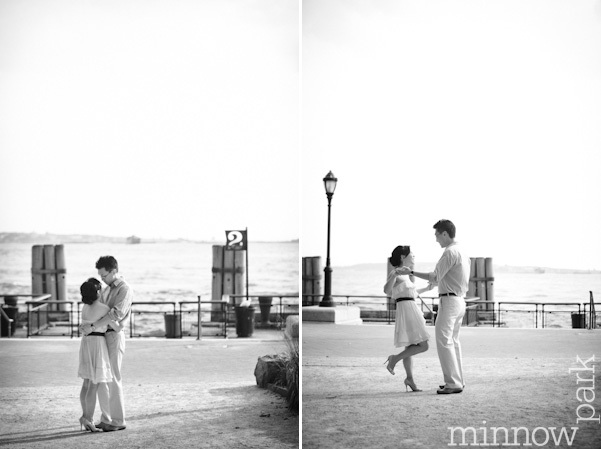 We started in Battery Park then took a cab to South Street Seaport to finish off the shoot. The hardest part was keeping up with all the beautiful moments Michelle & Alan were giving me.